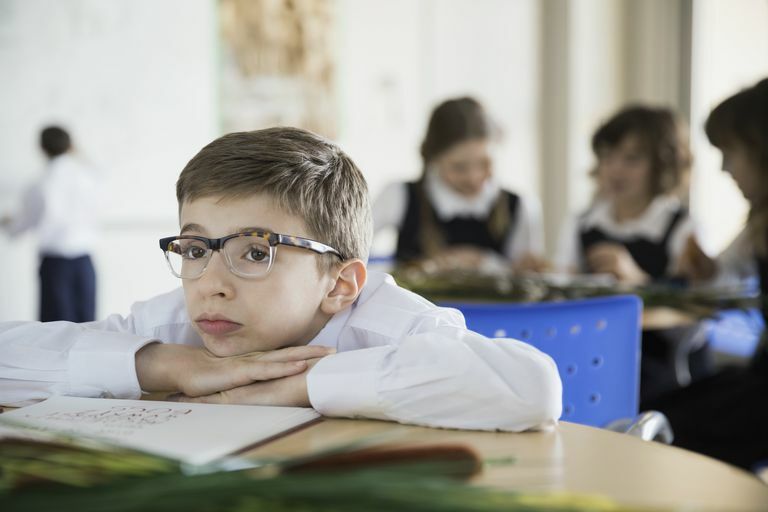 Some individuals with the predominately inattentive type of ADHD also display a subset of symptoms that are typified by sluggish-lethargic behavior and mental fogginess. It is this subset of characteristics that has been described as "sluggish cognitive tempo" (or SCT). People with SCT often have difficulty with problem-solving, self-organization, self-initiation, and processing competing sources of information. They are often characterized as hypoactive (less active). The Diagnostic and Statistical Manual of Mental Disorders (DSM), published by the American Psychiatric Association, is the standard manual for assessment and diagnosis of mental disorders used by mental health professionals in the United States. The DSM lists various criteria required for diagnosis. Symptoms of a sluggish cognitive style were first associated with ADHD in the third edition of the DSM, published in 1980. The DSM-III used the term "attention deficit disorder" (ADD) and expanded the understanding of the disorder, recognizing that impairments in attention can occur separately from impulsivity and hyperactivity. Two subtypes were identified in the DSM-III: ADD with hyperactivity and ADD without hyperactivity. The subtype ADD without hyperactivity did not really reflect "pure inattention" as the name implies; however, children still had to display significant problems with impulsivity. Publication of a revised third edition of the DSM manual (DSM-III-R) in 1987 did not separate symptoms of inattention, impulsivity, and hyperactivity, addressing all three primary symptoms as a group. Two categories were identified - attention-deficit hyperactivity disorder and undifferentiated attention-deficit disorder. In 1994, the fourth edition subdivided symptoms into two categories—inattention and hyperactivity/impulsivity. The three current subtypes of ADHD were identified—predominantly inattentive type, predominantly hyperactive-impulsive type and the combined type. Sluggish cognitive symptoms are not represented in the current DSM because they have been found to have only a weak association with the other inattention symptoms. Often does not give close attention to details or makes careless mistakes at work, in schoolwork or other activities. Often has trouble sustaining attention in tasks or activities. Often does not follow through on instructions; starts tasks but quickly loses focus and is easily sidetracked; fails to finish schoolwork, household chores or tasks in the workplace. Often avoids, dislikes or is reluctant to engage in tasks that require sustained mental effort. Often loses things needed for tasks and activities (such as school assignments, pencils, books, keys, wallet, glasses, paperwork, etc.). Is often forgetful in daily activities, chores, etc. Children and adults with the sluggish cognitive tempo (SCT) cluster of symptoms tend to display a different kind of inattention that has more of a daydreamy, hypoactive and passive feel, as opposed to a distractible quality. Individuals with SCT tend to exhibit less overt, externalizing symptoms and more internalizing symptoms of anxiety, depression, social withdrawal, and more information-processing deficits. Although SCT is thought to be a separate, distinct disorder from ADHD, with different causes and treatment approaches, SCT does frequently co-occur with ADHD. Arthur D. Anastopoulos and Terri L. Shelton, Assessing Attention Deficit/Hyperactivity Disorder. Kluwer Academic/Plenum Publishers. 2001. Christie A. Hartman, Erik G. Willcutt, Soo Hyun Rhee, and Bruce F. Pennington; The Relation Between Sluggish Cognitive Tempo and DSM-IV ADHD, Journal of Abnormal Child Psychology, Vol. 32, No. 5, October 2004, pp. 491-503. Russell A. Barkley, Distinguishing sluggish cognitive tempo from attention-deficit/hyperactivity disorder in adults. Journal of Abnormal Psychology, May 23, 2011. Russell A. Barkley, Attention Deficit Hyperactivity Disorder: A Handbook for Diagnosis and Treatment (Third Edition), The Guilford Press. 2006.